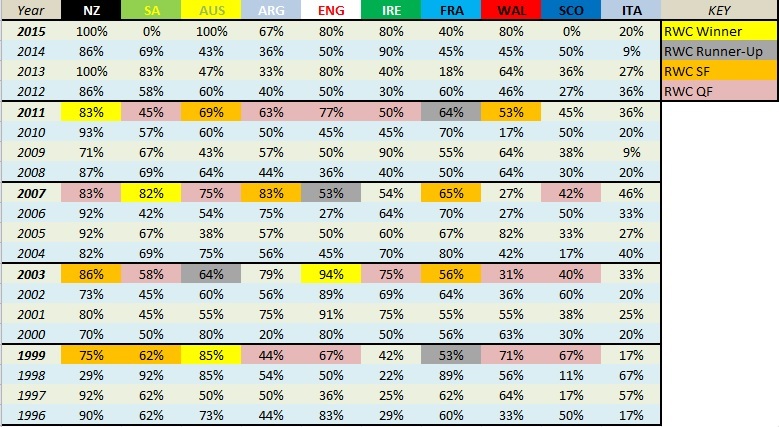 Rugby Statistics: Does World Cup form matter? How much attention should be given to form going into a World Cup? Significance may well be attached to ‘building momentum’ in competitions such as the Rugby Championship beforehand, but winning that trophy is no guarantee of success later in the calendar year. Previous Tri-Nations / Rugby Championship victors in 1999, 2003, 2007 and 2011 didn’t progress further than the semi-final stage at the World Cup that year. World Cup preparation does require a balancing act for coaches, with a need to welcome players back into the team environment after a domestic season, manage injuries and find the right mix between fitness and skills training. There is also a question of whether to give established combinations match time or rotate the squad and look at less experienced options. 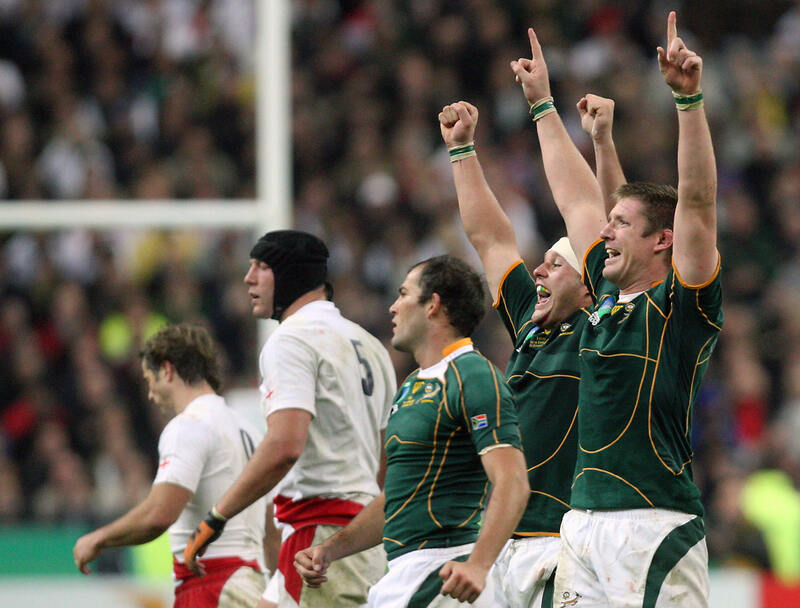 Allowing for later injuries (such as Jean de Villiers), it can still be seen in 2007 that the South Africa sides picked in their final two Tri-Nations matches against Australia and New Zealand were very different to the team that later lifted the Webb Ellis Cup. South Africa’s coach Jake White said at the time that it was “ludicrous to risk South Africa’s top players on an overseas tour in World Cup year” and the need to keep key players fresh was given priority over results. 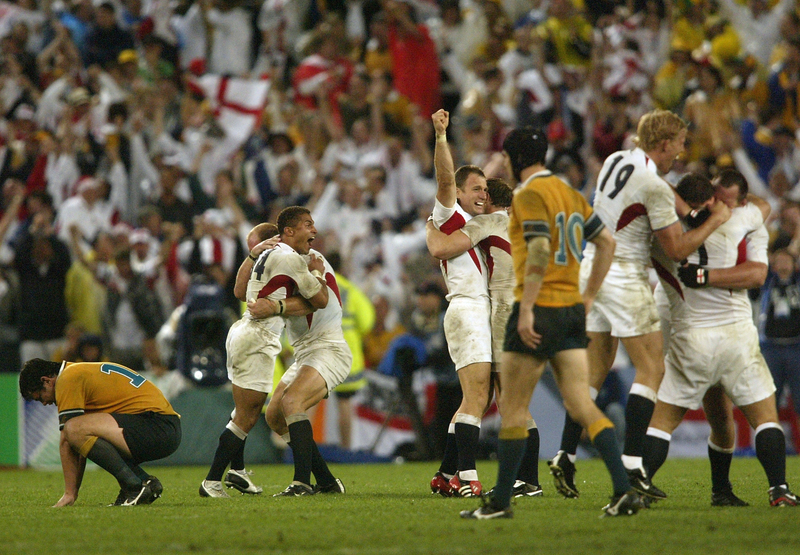 In contrast to New Zealand in 2011 (second in Rugby Championship), South Africa 2007 (third) and Australia in 1999 (second), England went into the 2003 World Cup campaign having already won a competition that year. They won 35 of 40 Tests from the beginning of 2000 until the start of the 2003 tournament, with Six Nations titles in three of those four seasons. There was also English success in the Heineken Cup in this period with Northampton winning the trophy in 2000 and then Leicester in 2001 and 2002. England coach Sir Clive Woodward had a different approach to Jake White and opted to take a full strength team on a successful trip to New Zealand and Australia before the World Cup. A desire to generate “huge momentum” was provided as the reason in his book, Winning! Those victories in Wellington and Melbourne in June 2003 can be seen as important steps towards the later triumph, but it also true that losing both tour games in the Tri-Nations didn’t hurt New Zealand in 2011, South Africa in 2007 nor Australia in 1999. The above shows Test win rate per year, for the Rugby Championship and Six Nations teams from 1996-2015 and their World Cup finishing positions in that period. Taking a range of results from the start of the preceding season up until the final warm up match, Australia won 16 of 20 Tests before the 1999 tournament, England 17 of 19 before 2003 and New Zealand 16 of 19 before 2011. South Africa had a record of just 11 wins from 21 Tests from June 2006 until August 2007 and three victories in ten games against their main Southern Hemisphere rivals. However there was success at Super Rugby level. South African teams had a 55% win rate against New Zealand and Australian opponents in 2007, which has proved to be their highest rate in 20 seasons of the competition. The Bulls won the Super Rugby final that year and repeated that feat in 2009 and 2010. In total nine of the starters from the 2007 final between the Bulls and Sharks made began the World Cup Final, five months later. Much is made of French inconsistency but they have made at least the semi-final stage in each of the previous four World Cups. It should be noted that the Les Bleus did perform well the year before each of those tournaments – with Six Nations triumphs in 1998, 2002, 2006 and 2010 and achieving Grand Slams three times. However it is now France’s Pool D rivals Ireland with the superior Test form. Joe Schmidt’s side have won 13 of their previous 15 matches and the Six Nations in consecutive years. There is an expectation that Ireland will reach at least the semi-final this year and with a potential route there of matches against Romania, Canada, Italy, France and likely Argentina, that optimism is understandable. New Zealand have been beaten just twice in 50 matches and could well take 11 starters from the 2011 final to the upcoming World Cup. They can call upon a front row combination of Tony Woodcock, Keven Mealamu and Owen Franks that have started 21 Tests together, a backrow trio of Jerome Kaino, Richie McCaw and Kieran Read that have 27 starts and a midfield pairing of Conrad Smith and Ma’a Nonu with 55 starts. Even with that experience and impressive winning record they will be aware that injuries, conditions, pressure and refereeing decisions all have the potential to act as levellers in elimination games. After all, the All Blacks went into the 2007 tournament having won 18 of the previous 20 matches, but were knocked out at the quarter-final stage. Meanwhile, an England team that had won only seven of 21 Tests pre-tournament and well beaten 36-0 by South Africa in the group stage, reached the final.